The Korean version of the Galaxy S10 5G will be powered by Samsung’s Exynos 9820 together with the Exynos 5100 5G modem, essentially meaning Samsung will be the first to market with both a 5G phone and silicon. The 6.7-inch Galaxy S10 5G will be available in South Korea starting from April 5. Three South Korean carriers — KT, SK Telecom, and LG Uplus — will begin offering their 5G services starting on that date. 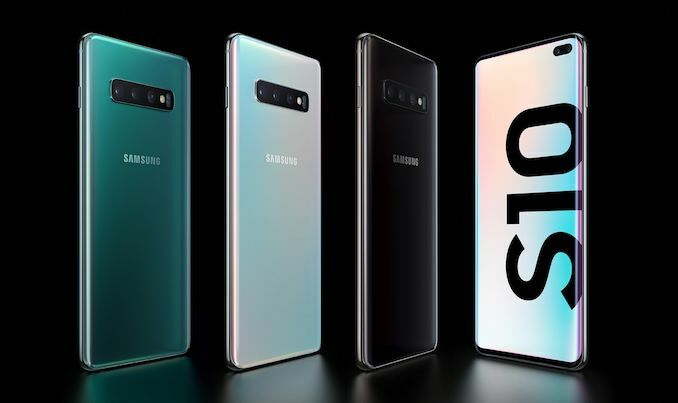 According to a report, the Galaxy S10 5G has passed signal verification test by the National Radio Research Agency earlier this week, which gives the smartphone the green light to enter the market. Verizon plans to launch its 5G services on April 11. It is unclear whether it will start selling the Galaxy S10 5G on that date, or the smartphone will hit the US market a bit later after Mi-Fi services. US variants of the Galaxy S10 5G are expected to ship with the Snapdragon 855 + X50 modem hardware combination. Personally, I would never buy one, but $1200 for a phone with a cutting edge modem, however useless it is now, kind of makes more sense than $1000 for the same phone without. I'm not sure what point you're trying to make about quorm's post. He said this seems like a reasonable price for a production phone with cutting edge tech. Of course there will be better modems. But he also didn't say he was buying one, just that a $1200 price makes sense for this device but $1000 for a 4G phone is high.